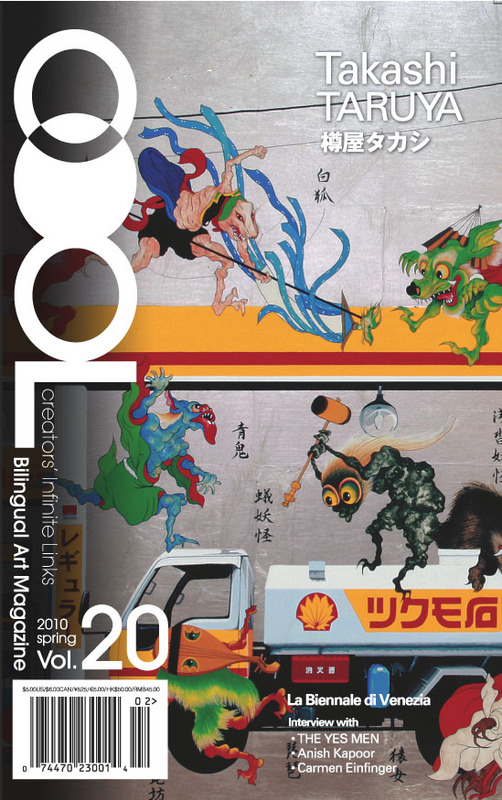 COOL BLOG ENGLISH COOL Vol.18-19, coming soon! The opening page of the next issue features Karim Rashid who is worldly known as a product designer. For the first time as a curator, Karim participated in the planning of the exhibition, "Totally Rad": Karim Rashid Does Radiators. The exhibition was held at Museum of Art & Design, known as MAD, which had a re-opening last September. We asked him to talk about this exhibition that gave full play for his senses. Mariko Mori is an active artist in New York. We had an exclusive interview at her studio in New York and asked about her large installation, "Plant Opal," which has been the talk of the town since its sudden emergence in Roppongi Hills. As a featured article, we will report to you some hot, Academy awarded movies including "Departures" from New York's biggest film festival, "Tribeca Film Festival"
Also, following this edition, the next issue contains the last half of a long interview with Tadanori Yokoo. Our next number is scheduled to be released this fall as the special memorial 20th edition, and is full of fresh content that you cannot take your eyes off. 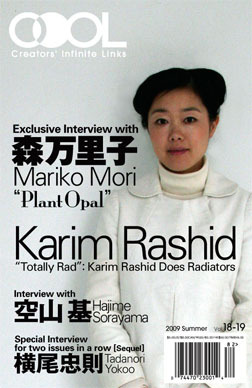 *Exclusive Interview with Mariko Mori "Plant Opal"